A Wigan motorist has been handed a 20-month ban from the roads after he was caught behind the wheel while more than double the legal drink-driving limit. 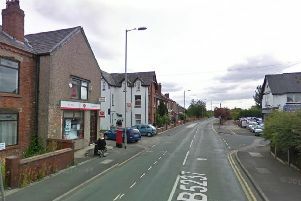 Harry Dickinson, of Sandy Lane, Orrell, was stopped by Wigan traffic patrol officers as he drove his Audi A3 down Manchester Road, Ince, while drunk on St Patrick’s Day, March 17. A breathalyser test told police that the 24-year-old had 88mcg in 100ml of breath. The legal limit is 35. Wigan and Leigh magistrates ordered him to pay a £337 fine, £85 in court costs and a £33 victim surcharge fee. Dickinson also received a 20-month disqualification although he has the opportunity to complete a drink-driving course before next March in order to reduce the ban time.